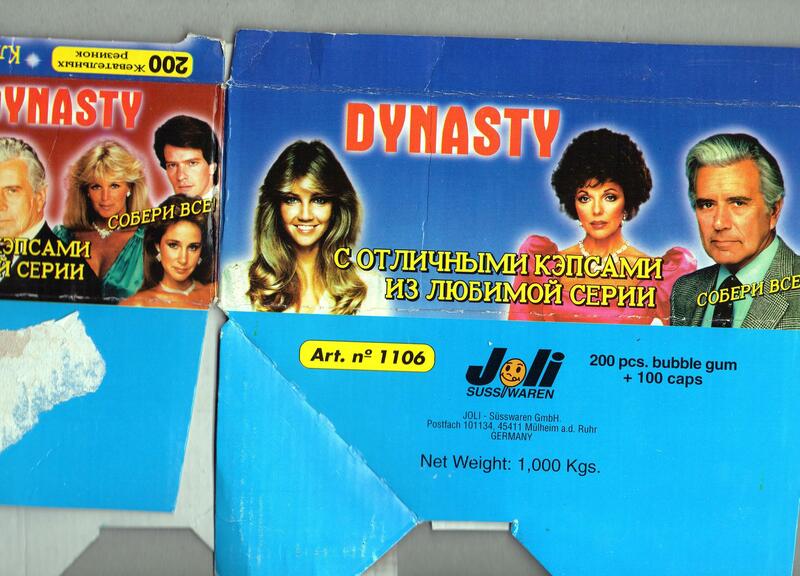 Info:This is the box that contained packs of Dynasty Bubblegum with pogs. They were produced by Joli Süsswaren GmbH for sale in Russian speaking countries. 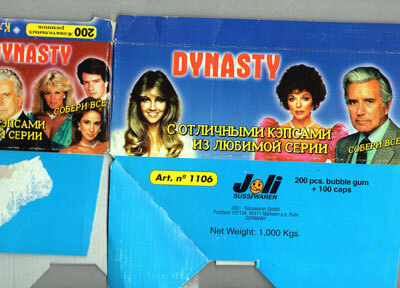 On the box it has the text 'С отличными кэпсами из любимой серии', which roughly translates to 'With excellent Caps of favorite series'. Thanks to Vincent for the info and scan.